Alex Oxlade-Chamberlain is currently in Dubai with the rest of the Liverpool squad, enjoying a warm-weather training break before the final 15 games of the Premier League season and the Champions League fixtures. 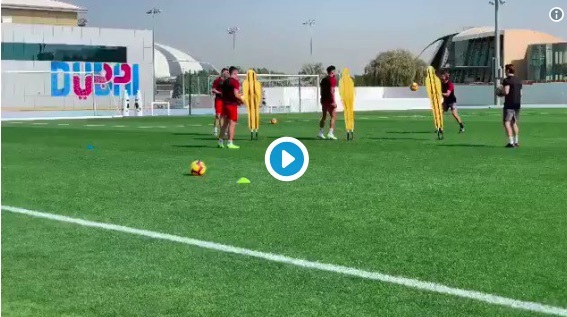 And a clip is doing the rounds which shows Ox training outside, with the ball at his feet! The Englishman has been out since April, after he ruptured his knee ligaments against AS Roma in the Champions League – but after lengthy rehabilitation – could be back in action next month. That means we’ll almost definitely see Ox before the end of the campaign. It’ll obviously take him some time to get back up and running, but his return to the dressing room will give his team-mates and supporters a massive lift.